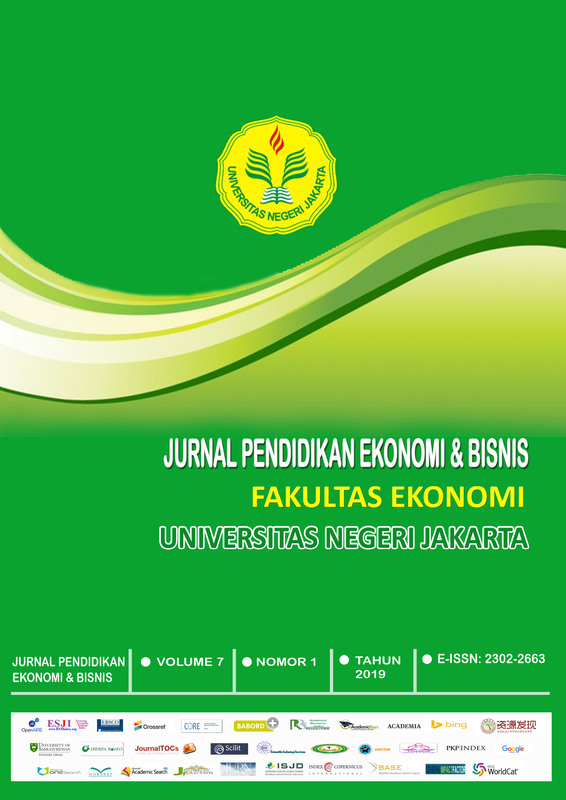 Jurnal Pendidikan Ekonomi & Bisnis ISSN: 2302-2663 is a research base journal published by Faculty of Economics, Universitas Negeri Jakarta Indonesia. The journal published two times per year in March and October. This journal started publishes since 2013. This journal focuses on economics and education research by quantitative and qualitative approaches. There are many more problems related to the economics study and education problems. Therefore, Jurnal Pendidikan Ekonomi & Bisnis only publishes original research of economic, management, accounting and economic education in Indonesia and overseas. The journal aims to publish a scientific article from researchers from Indonesia and other countries.